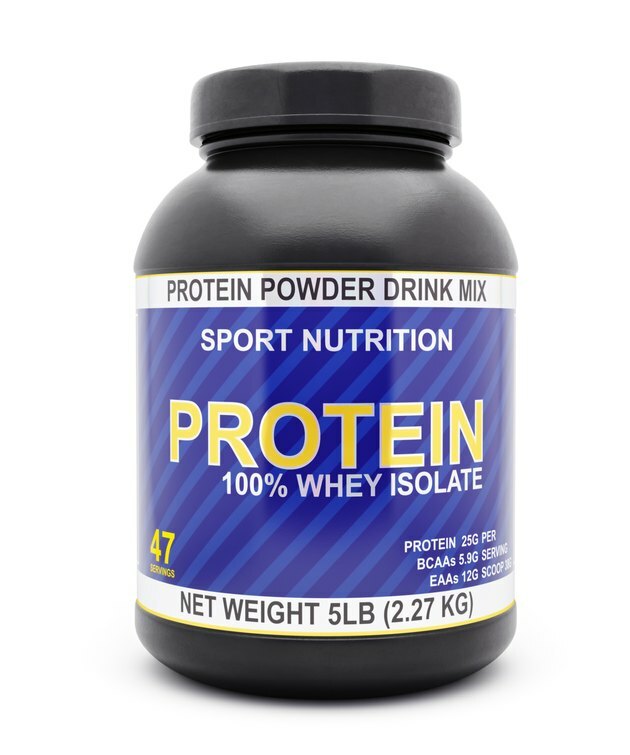 Protein powder comes from many different dietary sources, including milk, whey and casein, eggs, hemp and soybeans. No matter the source, protein powder can lead to a loss of appetite, which is a desirable effect if you're looking to lose weight. As with any supplement, however, you should consult your doctor before starting a protein powder regimen. According to a 2008 report published in the "American Journal of Clinical Nutrition," an increased amount of protein in your diet can help promote satiety, or a feeling of fullness. In other words, consuming slightly above the recommended dietary allowance for protein may help promote a loss of appetite. This report also states that protein is more effective at promoting satiety compared to carbohydrates and fats. Protein seems to have an effect on the release of hunger-controlling hormones. A 2010 study conducted by researchers at the Department of Nutrition and Exercise Physiology, The University of Missouri found that increased protein intake results in release of the satiety hormone peptide YY. It also reduces the release of the appetite hormone ghrelin. The participants in this study consumed about 25 percent of their daily calories from protein sources. According to the University of Illinois McKinley Health Center, protein powder – specifically whey protein powder – can help promote fat loss, maintain lean muscle mass and improve immune system function when consumed in doses of 20 to 25 g per day. Athletes may need as much as 40 to 50 g of whey protein to benefit from it. Consuming beyond these recommendations may cause an unsafe loss of appetite, along with other potentially harmful side effects, such as weight gain. In extreme cases, loss of appetite may lead to malnutrition. This is the primary danger associated with protein powder and satiety. Although it can help you lose weight, it's important to ensure you're also eating a well-balanced meal plan full of vegetables, whole grains, lean protein sources and fruits. If you find you're consuming well below your daily calorie needs, as determined by your doctor or dietitian, you may need to consume less protein powder or eliminate it from your diet altogether. Talk to your doctor before supplementing any sort of protein powder.